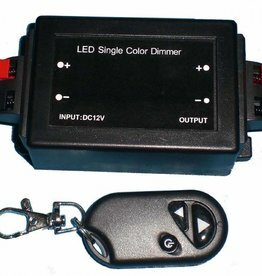 By pressing a button on the remote it is automatically linked to all LED Sync Dimmers that are in range. 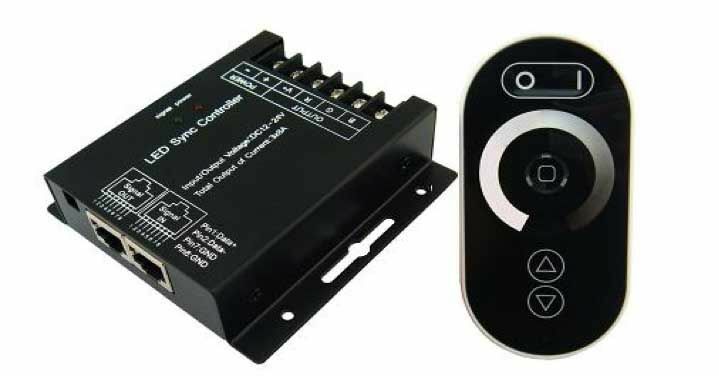 It is also possible to link multiple Sync Dimmers together using RJ-45 Cables. 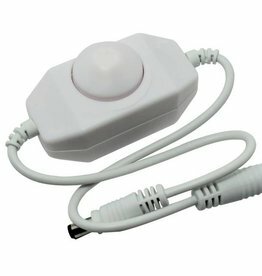 The LED Dimmer is placed between the power supply and the LED strip. You can connect max. 288 Watts of LED Strip to each Sync Dimmer. 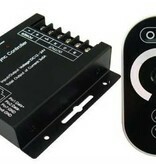 If you want to connect more, use multiple sync dimmers and control them using one remote, or link them together using RJ-45 Cables. 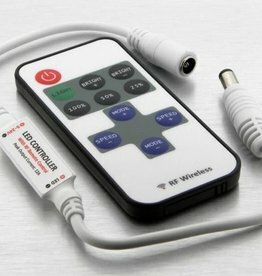 ●Remote type: RF (Radio frequency). 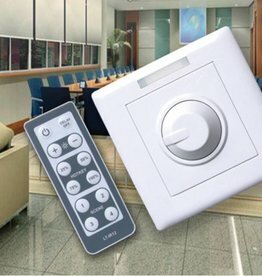 Intelligent Link-system, remotes can be easily linked to multiple dimmers. ●Memory (last setting is remembered after power is shut off): Yes.